Home / Shop / Welcome gift from us! Hey, are you new here ? Welcome to Japan Premium, an online shopping paradise where we have all kinds of Japanese products to brighten up your day, or week and even your year ! 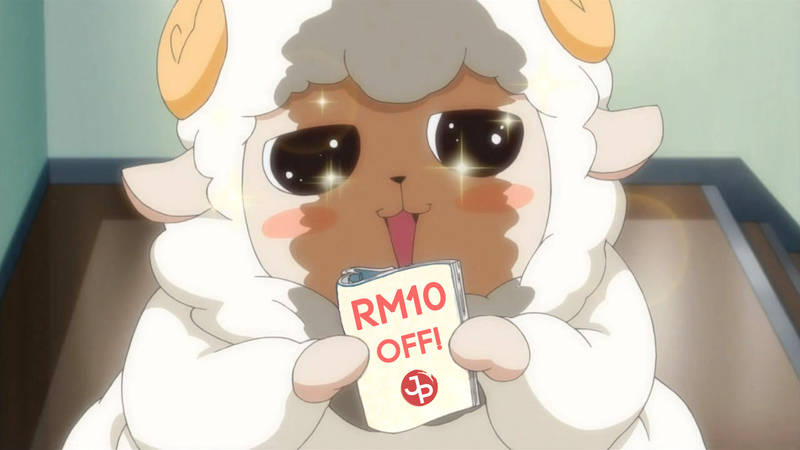 This nice little code gives you a pretty RM10 off for your very first purchase in JP-MY.com for purchases above RM100 exclusive of shipping! Yes, that’s a cool ten bucks off because you said HELLO to us! 1) Register for an account here, of course. 2) Add all the items you want to cart and click checkout. 3) Check the ‘Use Coupon Code’ button and key in ‘HELLOJPM’. 4) Apply and boom! RM10 off instantly. Please note that this is valid for one-time use only per account, but hey tell your family, tell your friends, tell your neighbours and share the joy!